Birmingham, Ala.-based Children’s Hospital took delivery last month of a 1995 Bell 206L4, the first helicopter in the state dedicated and equipped exclusively for the transport of sick infants and children. Before its arrival last month, the hospital’s Care Flight critical care transport team shared helicopter services with other area hospitals. The in-flight transport team consists of a registered nurse and a respiratory therapist. 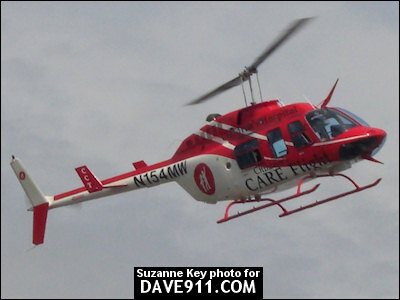 The helicopter is equipped with an incubator and other ICU equipment, according to Jason Peterson, program coordinator of the Care Flight transport team. The 11 registered nurses–including Peterson–and seven respiratory therapists have backgrounds in pediatric intensive care, trauma, burn, emergency medicine, neonatal intensive care and nitric oxide therapy. 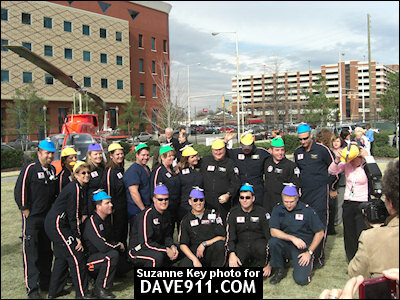 They are supported by a staff of 18 pediatric and neonatal medical control physicians, according to the hospital. 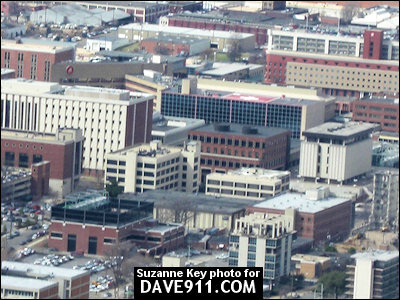 For patients who live farther than 175 miles from the hospital, the transport team will continue to use a Cessna Citation Bravo that is owned and operated by the University of Alabama-Birmingham. Peterson said Children’s Hospital began its critical care transport in 1983 and added fixed-wing and helicopter services in 2000. In August 2005, the critical care transport team evacuated neonatal patients from New Orleans and the Gulf Coast region after Hurricane Katrina. 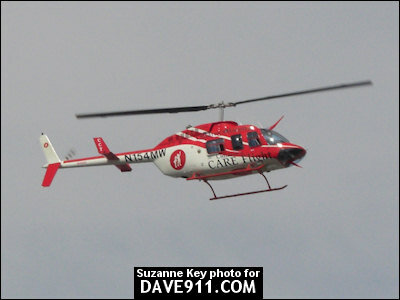 Suzanne Key with CareFlight sent the following pictures. Thank you, Suzanne, for sharing the great pictures! Dave - Will they do scene flights that involve PEDS? We do not do scene flights. 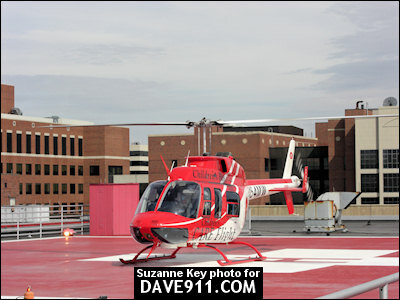 We are a mobile ICU for Children's Hospital. We are sent by Doctors in the PICU/NICU etc. to go to outside hospitals that are not able to care for sick neonates and children. 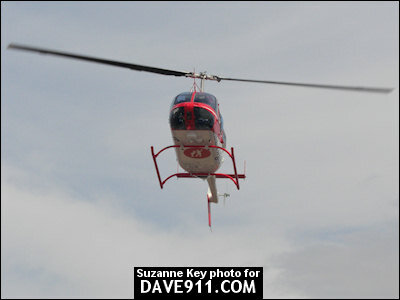 Depending on where they are we go by ground, helicopter or jet. Isn't this copter one of Life Saver's old bird's? This aircraft, N154MW, operated by Omniflight Helicopters based out of Addison, TX. They also own and operate Alabama LifeSaver here in Birmingham. LifeSaver still has 5 other aircraft here in Alabama. N206MH, N93CH, N206AZ, N4846, and N95CH is in TX for repairs right now. Hopefully will be back soon. On Friday October 17 around 2:30 am, the pilots came to Anniston to pick up my daughter to taker her to Children's Hospital. I just want to say how grateful I am for what you did for us. My daughter survived the DKA. She is now out of the hospital and doing better. I cannot express my gratitude for what you did that night. Thank You!!!!! 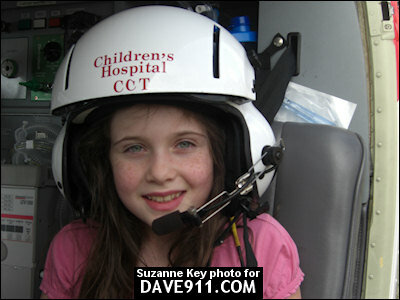 It is a very good news that Birmingham hospitals for the children have their own helicopter. This helicopter will be so much helpful for the emergency transport for some seriously ill patient. This is the really great step to start the own helicopter transport services for the patient.